My skin is quite clear but I do tend to get breakouts around my mouth and chin and when I do get them I get them in the boat load. I tend to opt for fuller coverage with my makeup as it makes me feel more confident. The Covermatte Compact comes in sleek black packaging that is very lightweight. It also comes with a mirror inside and a sponge. I love the design on the powder, it is unique and makes it stand out. Even though I love a fuller coverage I do like a base that is buildable. The powder has been a staple in my routine. I used to think a powder foundation would be heavy on your skin and look very powdery. "Customisable coverage is now at your fingertips with the Vichy Dermablend Covermatte Foundation Powder SPF25, a full coverage compact powder foundation for combination, oily and acne-prone skin"
Now this is exactly what I look for as my skin switches between oily and combination and I am very breakout prone on my chin/mouth area. I also have scarring on my chin from previous breakouts. What surprised me is how lightweight this powder is, it doesn't sit heavy on your skin and it doesn't look powdery. It gives a matte finish without being overly matte looking. I mainly like wearing this on top of foundation as a setting powder as it helps make my makeup last even longer. Even on top of a foundation it doesn't look cakey, it actually looks flawless. 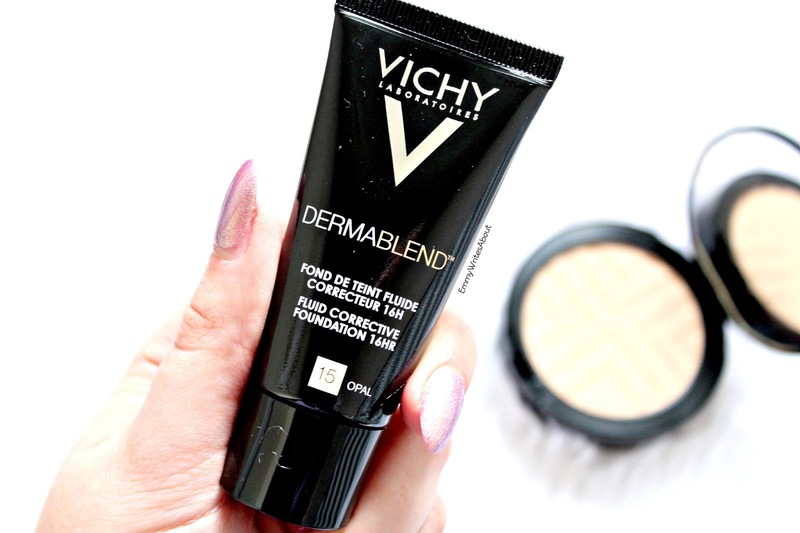 I especially love pairing it with the Dermablend Foundation, now if you are a long term reader of my blog you will know I first featured this foundation on my blog in May 2015 then they changed the packaging and made the formula even better. This is one of my go to foundations as it gives full coverage but it has the lightest consistency I have ever known in a full coverage base. 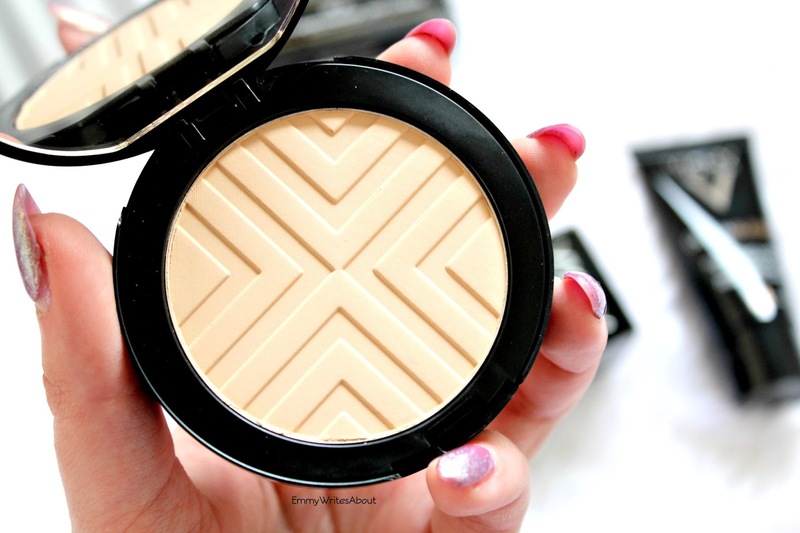 It lasts all day and when paired with the Covermatte powder they create a dream team! The shades in the powder foundation run the same as the liquid foundation which makes it so easy to find your match. The Covermatte Powder retails for £20.00 but you can usually get it on offer from Escentual.